DePaul no longer supports Blackboard Collaborate (known as Online Rooms). The change in support was announced about a year ago, but Online Rooms was still available in D2L until very recently. 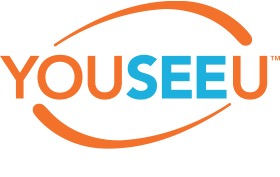 Online Rooms has been replaced by a built-in-tool called YouSeeU (known as Virtual Classroom in D2L). Instructions on use of Virtual Classroom can be found here. The maximum session time is 90 minutes. Typically, a two hour class session would use two 90-minute rooms, one for before class and the first hour, and then after a break, the second room would open for the next session, with additional time afterward available for questions. You can schedule rooms ahead of time, just as with Blackboard Collaborate, but you cannot get into the room before it opens to preload content. If you want to share your screen, there is a small download that you will need to do first. And you should be sure you’re using the Chrome browser to share your screen (since this tool runs on HTML5, only Chrome is supporting it right now). 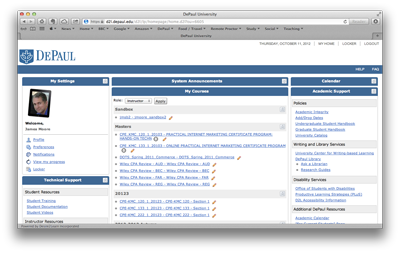 A big change is coming to DePaul's D2L user interface (UI). On August 26, D2L's new user interface, known as Daylight, will be activated. The functionality of D2L will remain generally identical to our current system, but will feature a modern design that works across all device types. The Daylight UI will provide more user accessibility and compatibility, particularly for mobile devices. You can learn more about Daylight and get a sneak peak here. In D2L, "Dropbox "will be renamed to "Submissions" on the Navigation bar. This is a name change only, and will provide the same access and functionality as the current D2L system. Ahead of the release and through the Fall Quarter, Faculty Instructional Technology Services (FITS) will be offering webinar sessions to introduce the new interface and features. Visit go.depaul.edu/techevents to find more information and RSVP for one of the upcoming sessions. Just a reminder, to make your experience using D2L the best it can be, to help with system performance, and to comply with records retention policies, the University will be implementing a process to remove older course material from D2L. Once materials are removed from D2L they will no longer be available for retrieval. Beginning July 1, 2015, Information Services will begin removing courses from the 2010-2011 and 2011-2012 academic years. Faculty wishing to retain a personal copy of materials found in these courses are able to export them to an archive file which can be stored locally on a flash drive, U: or W: drive or other external storage device. These archived courses can be later imported back into D2L or another Learning Management System. No student data (grades, submitted work, etc) will be retained when courses are exported. For directions on how to export a course see the section on Exporting Course Components to a File in the following quickguide. If you need assistance with this process, please contact fits@depaul.edu. All exports will need to be completed by June 30, 2015. IMPORTANT: once materials have been removed from the system, we will be unable to retrieve them. To comply with records retention policies, the University will be implementing a process to remove older course material from D2L. Once materials are removed from D2L they will no longer be available for retrieval. Beginning July 1, 2015, Information Services will begin removing courses from the 2010-2011, 2011-2012, and 2012-2013 academic years. Faculty wishing to retain a personal copy of materials found in these courses are able to export them to an archive file which can be stored locally on a flash drive, U: or W: drive or other external storage device. These archived courses can be later imported back into D2L or another Learning Management System. All exports will need to be completed by June 30, 2015. IMPORTANT: once materials have been removed from the system, we will be unable to retrieve them. Josh Lund will be presenting at the next Tech Tuesday on Demystifying D2L’s Quizzes. Please note that this will take place in the FITS Training Room on the 12th floor of the Lewis Building (Lewis 1266). The room is equipped with laptops. Josh Lund is the FITS department's Senior Instructional Technology Consultant for the Driehaus College of Business, CPE, and the School of Music. He provides support for online course development, leads workshops, and researches best practices in teaching and learning to bring directly to faculty. Apple has recently noted that it expects to release its newest operating system (OS), MAC 10.10 (or Yosemite), on October 21st, 2014. For some College of Business online courses, students are using Software Secure’s Remote Proctor Now service for online midterm and final exams. Currently, Remote Proctor Now developers are reviewing this update to ensure they can support the new OS as quickly after the release as possible. Students using RP Now should not attempt to use or upgrade to MAC 10.10 until Software Secure has confirmed compatibility. More information will be made available within the next several weeks, and posted here. Desire2Learn (our Learning Management System provider) has a useful page (Solution Showcase) that lists the various solutions and vendors that work with D2L. Solution Showcase contains videos, resources, and more. Josh Lund of FITS has uncovered an issue with a class using the Blackboard Collaborate tool (Online Rooms) in D2L. One of his instructors reported to him that although he was advancing through his slides while talking, the students were only seeing the first slide. The only thing he said was different from previous sessions was that a red border appeared around his slide and was there for the whole session. Josh did some digging, and it looks like the Follow option was de-selected. When you load slides into the Main Room to show to the class, it opens a popup “Page Explorer” window. You can use this window or close it and use the forward or back arrow keys to navigate, normally. However, in that popup window there is a checkbox marked Follow. Normally this is checked by default, but must have been unchecked accidentally. The documentation he has seen says that the red border is an indication to students that they can freely browse slides (which of course neither they nor the instructor knew at the time). So the instructor was going through his slides as he talked, but of course since the Follow option was off, he was only looking at his own copy and it was not synced to the student view. Back in February, I posted about an issue with Internet Explorer 11, D2L, and Remote Proctor Now (Secured exams taken with Remote Proctor Now on a Windows PC with Internet Explorer 11 installed on will not work - The option to “Go to Submit Quiz” is unclickable, and students will not be able to complete a secure exam). A patch to D2L has fixed the issue. Secured exams will work with Desire2Learn as normal. Firefox is still the browser that DePaul recommends that students use with D2L. DePaul has just learned that Yahoo has changed their email policy, which now only allows email to be sent via the yahoo.com domain and not through a third party. This means that email sent via D2L (using a yahoo email address) will not be delivered. DePaul has no control over this. However, you could use your depaul.edu email address instead. To do this, you will have to make a change in Campus Connection. This PDF explains how to update your profile. DePaul’s Spring Quarter starts soon (March 29 for Saturday class, March 31 for day and evening classes). FITS and IS have loaded Spring Quarter classes into Desire2Learn (D2L), these classes are ready to be activated by faculty (students will not see the class in D2L unless activated). Later, I will explain how you can do this. We have scheduled several D2L training sessions specifically for College of Business faculty. The purpose behind these sessions is to provide Business faculty with just the basics, in a way that just makes life easier. We also cover the recent changes to D2L, and show you the improvements that matter to faculty. D2L is a great tool for emailing your students, sharing your syllabus, and more. The next session takes place Tuesday March 25th from 10-11AM, and is followed by an optional open workshop. You’ve heard about Desire2Learn and all the exciting things it can do- but not everyone has the time to dive in and do all of them! This workshop is designed to get you up and running with a minimum of time and absolutely no fuss. In less than an hour you will learn how to introduce yourself, share documents, and communicate with your students through D2L. This is also a great opportunity to learn more about the support and training opportunities available to you through DePaul’s Faculty Instructional Technology Services department. Josh Lund will present these sessions. Josh is the FITS department’s Senior Instructional Technology Consultant for the Driehaus College of Business and the School of Music. He provides support for online course development, leads workshops, and researches best practices in teaching and learning to bring directly to faculty. Lewis 1266 has both Mac and PC computers; there is no need to bring a laptop unless you want to. Lewis 1266 is in the area marked “FITS - Faculty Instructional Technology Services” on the 12th floor of the Lewis Center. Google Glass is a combination of wearable computing and Augmented Reality. It is a computing device worn like a pair of reading glasses, which provides optical and audio information to the user. Rather than having to get out a cellphone, you could instantly see directions, photos, emails, alerts, etc. in your immediate field of view. Google Glasses allow the wearer to take pictures and to record video. You can even videoconference with them, or chat on the ‘phone. Some privacy proponents believe that this device crosses a line, allowing the wearer to record video and audio surreptitiously, or use face-recognition apps to identify strangers. In this hands-on session, discover what exactly Google Glass is, and potential uses within the classroom for both educators and students. Click on the course you want to activate. Click “Edit Course” on the far right side of the course navbar. Click “Course Offering Information” under the “Site Setup” heading. Click “Save” at the bottom. Your course is now activated. Students will see your course listed in their “My Courses” widget when they log in to D2L. I hope you have a pleasant and productive Spring Quarter. Please get in contact if there is anything we can do to help you use online services more effectively in your classes. Secured exams taken with Remote Proctor Now on a Windows PC with Internet Explorer 11 installed on will not work. The option to “Go to Submit Quiz” is unclickable, and students will not be able to complete a secure exam. Students using Mac OS X are unaffected by this issue. Students using Windows XP, Windows Vista, Windows 7, and Windows 8.0 (but not Windows 8.1) will be able to take secure exams if they do not have Internet Explorer 11 installed. Earlier versions of Internet Explorer (such as Internet Explorer 9 or 10) should allow for successful completion of a secure exam. There is a process to rollback/downgrade to an earlier version of Internet Explorer, described below. Students using Windows 8.1 are unable to rollback/downgrade to an earlier version of Internet Explorer 11. The only solution is to use a different computer, with does not have Internet Explorer 11 installed. We are working with Desire2Learn for a solution to the issue. Go to Windows Update > View updates and find the line for Internet Explorer 11 and uninstall from there. This requires a computer restart. After that, in order to prevent Internet Explorer from auto-updating, open IE10 and click on the gear in upper right corner of Internet Explorer and choose “About Internet Explorer” and uncheck "Install new versions automatically" and follow prompts. DePaul's Help Desk can assist with the process of downgrading from Internet Explorer 11: +1 (312) 362-8765. I had a quick look at LaunchPlan this Monday. The CEO and co-founder (Ray Di Nizo) was good enough to provide an overview of the functionality and purpose. The site operates as a collaborative environment in which students can work together to create a comprehensive business plan. The process is templated, with milestones and checklists. Much of this could be accomplished with tools like GoogleDocs, but there are some robust financial modeling functions that help students avoid tactical missteps in creating the plan. 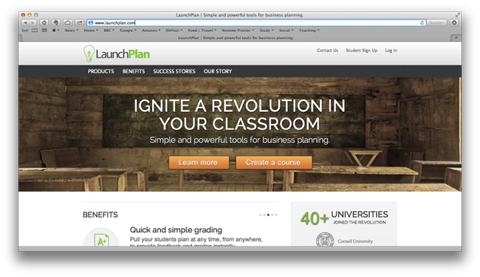 LaunchPlan does not currently integrate with D2L, and I did not see an easy way to export grade information. With the right instructor this could be a powerful teaching tool – the critical element would be demonstrating to the students how LaunchPlan could facilitate collaboration. However, without that element students are likely to gravitate towards tools that they are currently comfortable with. Cost is $60 per student. Faculty interested in exploring can contact LaunchPlan for review access. The company seemed to be very responsive to suggestions for improvement. Roger Lall suggested looking at Mplans and Bplans. The sites contain sample business plans that can be of value to faculty and students. When you are running an Online Classrooms session, there is a command to copy breakout whiteboards to the main room. This will bring them in as separate areas under the pull-down box that usually says "public room" in the upper righthand corner of your screen. For example, you might create three rooms, and the participants each drew on the whiteboard. When copied them back in, they showed up in the menu as Room 1-1, Room 2-1 and Room 3-1. This also means that if they had created additional pages in the whiteboard, they would have been copied in as 2-2, 2-3, etc. When participants are ready to return, copy the breakout whiteboards to the main room. Then bring back the participants to the main room. Finally, close the empty breakout rooms. You should have access to all the whiteboards now. Josh Lund and his colleagues had an interesting experience trying to get recording files from Online Rooms, as they had assumed that it would generate a downloadable, playable video file like Wimba does. This is not the case, however. The upside is that the archives can be viewed online through a native player by anyone who has access to the room, so they can't be downloaded, which might be good for students viewing group presentations, etc. Students seeking disability-related accommodations are required to register with DePaul's Center for Students with Disabilities (CSD) enabling you to access accommodations and support services to assist your success. There are two office locations that can provide you with enrollment information, or inquire via email at csd@depaul.edu . Students are also invited to contact me privately to discuss your challenges and how I may assist in facilitating the accommodations you will use during this course. This is best done early in the term and our conversation will remain confidential. I was facing a strange gradebook question this afternoon, and came up with something you all might like, if you ever are in the same situation. Assign students randomly to two groups (A and B), each of which has its own exam, and there is a different set of randomizing groups for each set of three exams. I've used release conditions on the grade items, the quizzes and the link from content so that the students will only see the stuff they are supposed to see as a group member. In order to make the weighting work in the gradebook, I have made a category for each exam that has the two A and B versions, set to drop the lowest grade. I needed to test this because I wanted to make sure that a student taking the exam wouldn't see their exam grade as just half of the weight for that category (each of these exams is worth 25% of the grade). I found that it does work, with one caveat: you have to set the gradebook to "treat ungraded items as 0" rather than drop ungraded items. If you set it to drop ungraded, the student taking the exam will see all their grades for the exam as dropped because you have not put in a points value for the other exam yet (and they can't see and take the exam that wasn't dropped). You've heard about Desire2Learn (D2L) and all the exciting things it can do- but not everyone has the time to dive in and do all of them! This workshop is designed to get you up and running with a minimum of time and absolutely no fuss. In less than an hour you will learn how to introduce yourself, share documents, and communicate with your students through D2L. This is also a great opportunity to learn more about the support and training opportunities available to you through DePaul's Faculty Instructional Technology Services department. Josh Lund is the FITS department's Senior Instructional Technology Consultant for the Driehaus College of Business and the School of Music. He provides support for online course development, leads workshops, and researches best practices in teaching and learning to bring directly to faculty. Optional workshop follows immediately (11 a.m. - Noon). RSVP and more information on the Technology Tuesdays page. DePaul is gong to be well represented at the upcoming Illinois Desire2learn Regional User Forum that is taking place on October 19th. I will be making a short presentation on lecture capture and D2L, and my colleagues in FITS and IS will be sharing their expertise with D2L. Respondus (available via MPT’s page here) is a productive tool that allows you to create a quiz in Microsoft Word which can then be imported into Desire2Learn. However, you must following certain formatting conventions for the import to work. Also, you should turn off automatic numbering of lists in Word to prevent any problems uploading the test into Respondus. To turn off automatic numbered lists, follow one of the two sets of steps below, depending on what version of Word you are using. Click AutoFormat As You Type tab. Question: Type the number, a period, a space, then the question text. Answer Choices: Type the letter, a period, a space, then the answer choice. Correct Answer: Put a star * in front of the letter of the correct answer. Do NOT put a space between the * and the letter. Feedback: Put after question with “@” sign and a space before the feedback. 1. Who was the second president of the United States of America? @ The answer is John Adams. To make your experience using D2L the best it can be, we will be implementing an archiving process to move and remove some older course material from D2L. Doing so will improve your ability to quickly locate your current courses and improve system performance.The first step in this process will be to move all courses from the academic year 2010-2011 and Autumn 2011-2012 to a new area of the My Courses Widget called ARCHIVE (those instructors who teach in SNL Online will see their Online courses in an area called FAC ARCHIVE). In the future, prior to loading a new quarter, the previous year's quarter will be moved to this area - for example before loading Winter 2012-2013, Winter 2011-2012 will be moved to ARCHIVE/FAC ARCHIVE). At the time that the courses are moved, the courses will be made inactive to students. Doing so will remove the courses from the Student's view, making it easier for them to locate their current courses. Instructors wishing or needing to allow students access to these older courses will need to reactivate them following the directions found at: http://d2l.iddresources.org/documents/video/71 Courses moved to this area will still be available to the instructor and can be used to copy into future quarter courses. Courses will begin being moved the first week of Summer Quarter, Monday June 11th, and we expect to have the process completed by Friday June 22nd. During this same time period we will also begin loading the Fall 2012-2013 courses into the system so you can begin working in those course sites. The second step in this process will be to remove all courses currently found in the BbImports area of the My Courses Widget. Faculty wishing to retain a personal copy of materials found in these courses are able to export them to an archive file which can be stored locally on a flash drive, U: or W: drive or other external storage device. For directions on how to export a course see http://d2l.iddresources.org/documents/video/46. All exports will need to be completed by June 30th. 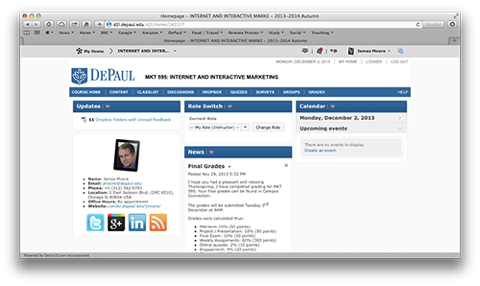 I will be teaching MKT 595 (Internet and Interactive Marketing) again this year. The class will be taught asynchronously entirely online through the Desire2Learn LMS. The new syllabus is still being worked on, but you can download the old syllabus from here. Once ready, the new syllabus will be posted in the same location. I would highly suggest you read the teaching evaluations if you are interested in taking the course with me. I have posted evaluations for each time I have taught the class. You can also contact me if you have questions about the course. Registration takes place via Campus Connection. Please note that the class capacity is 40, but there is a reserve capacity rule for overlap courses between Computational Finance and BIT (includes COMFN, CMPFN, MSMIS, MINFO, KGSB). MKT 555 is a prerequisite for this course. Class announcements and items of interest are posted via Twitter (@MKT595). Last year the ability to subscribe to discussions was added to D2L. This Spring you and your students will have the ability to subscribe to News postings as well. Using the Notifications tool (found in the My Settings Widget) users can now set their notification options. In addition to email notifications, users can now also receive some updates via text messaging if they wish. Of particular note is the ability to receive notifications of Dropbox assignments when the folder end date is 2 days away. For more information visit this link. Speaking of Dropbox, instructors will now see enhanced functionality when grading items in Dropbox folders. Previously grading was a cumbersome process that required instructors to open submitted files outside of D2L. Now if students have submitted a Word or PowerPoint file, instructors will be able to view the contents of the file on the same page as the grading and feedback screen. While the file itself cannot be marked up from this screen, instructors can provide written (or audio) feedback using D2L's feedback tools. If a rubric is attached to the folder, feedback can also be easily provided using this tool. After saving the feedback the instructor can easily navigate to the next student with submitted work. For more information visit this link. The Calendar tool has been updated in both look and feel. For those familiar with Google Calendar, you will be right at home with this new tool. The Calendar tool now makes it easier for instructors to set due dates and create events as well as for students to track these deadlines. For more information visit this link. If you are interested in learning more about any of these tools (or have general questions about how to use D2L) open labs are scheduled throughout the quarter on both the Loop and Lincoln Park campuses. These labs are a fantastic way to build your course with support. Simply reserve your spot and bring your course materials (and questions) and get help from one of the FITS trainers. Open labs are offered in addition to regular training courses. For a complete schedule visit this link. You can also email fits@depaul.edu with questions at any time or check out the print documentation and video tutorials on the Teaching Commons. Finally, when you are ready for your students to view your course content, please remember to make your course active so your students have access to it. Here is a link to the documentation on making your course active. Josh Lund and his colleagues in FITS shared this piece of news about Microsoft Word documents in D2L. It turns out that there is a compatibility limit on the versions of Word documents you can upload to a D2L site. Word documents saved as Word 2000 files will not download for students. 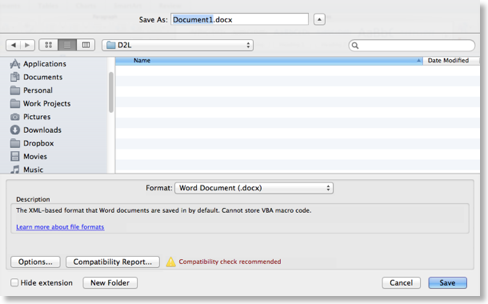 Documents saved in more recent versions of Microsoft Word will work normally. A new competition that should appeal to DePaul entrepreneurial students. The Desire2Learn Edge Challenge is a chance to build an educational mobile app and win $25,000 and a trip to San Diego to present your prototype to eLearning Leaders at the Desire2Learn User Conference. DePaul is launching a new synchronous learning platform called Collaborate during Spring Quarter 2012. If you are interested in potentially holding a synchronous class session in Collaborate, please submit this form to indicate your interest and a representative from Faculty Instructional Technology Services (FITS) will add you to a mailing list to receive updates when training opportunities and documentation become available. 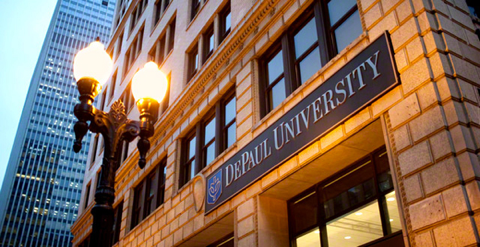 Because of the traffic congestion and disruptions anticipated in and around the Loop during the G-8/NATO summits, DePaul will close the Loop Campus from Friday, May 18, through Monday, May 21. There will be no access to Loop offices or classrooms. The Loop Campus will reopen on Tuesday, May 22. Faculty scheduled to teach in the Loop on any of those days should watch their email for information on making alternative arrangements for affected class periods. Your options will include relocating Friday or Saturday classes to designated classrooms in Lincoln Park, rescheduling Monday classes for a weekend, creating an alternative assignment for students to pursue on their own in place of class or delivering instruction online for any of these days. You will find information about online instruction, relocating and rescheduling classes on The Teaching Commons (http://teachingcommons.depaul.edu/Teaching_DePaul/nato_g8_information.html), DePaul's central online teaching resource. As you prepare syllabi for spring quarter courses, please keep these options in mind. Classes at our Lincoln Park, O'Hare and suburban campuses will follow their normal schedules. For the latest updates, including FAQs, from DePaul on how the summits will affect the university, visit Newsline Online's G-8/NATO summits information page: http://newsline.depaul.edu/Info/Pages/g8.aspx. We encourage everyone to update their contact information for DPU Alert, our emergency notification system. To do so, log into Campus Connection, click Demographic Portfolio on the left menu bar and select the DPU Alert option. A number of exciting educational opportunities for DePaul will arise from these global summits, and they will be covered in Newsline and Newsline Online (http://newsline.depaul.edu/Pages/defaultnew.aspx) in the coming months. Faculty are including lessons related to this unprecedented, back-to-back gathering of world leaders in Chicago into some of their courses. What does this mean for Commerce faculty? Your presentation can be recorded beforehand, and then made available to your students via Desire2Learn. Please contact James Moore or Josh Lund if this is something you would like to do. You can teach your class at a distance, using the Wimba Classroom (or Blackboard Collaborate - the successor to Wimba Classroom) and Desire2Learn. Please contact James Moore or Josh Lund if this is something you would like to do. Online documentation and training for using Wimba can be found here. FITS and Teaching Commons are working on Blackboard Collaborate faculty resources. The Spring Quarter classes are now loaded in Desire2Learn, and ready for you to use. These classes are currently hidden from student view, but can be made available in three mouse clicks. This session is designed to help Commerce faculty quickly create a Desire2Learn course from scratch in less than 15 minutes, and to highlight how DePaul supports faculty using technology. DPC 6306 is a PC-equipped room. You will be able to update or create your D2L course during the session. In the green box on the right side of the screen (FITS Quick Links) click on D2L Request Forms. On the next page, click on Copy Course Content. On the next page, enter your Campus Connection Username and Password, then click on Login. Select the course you want to Copy Into. On the next page, verify that the information you have provided is correct, and then click on Submit. In your D2L course, click the Edit Course link on your course navigation bar, then click Course Offering Information. Check the Active: Course is active box. Your Desire2Learn course allows you to send email messages to your students. This is an easy way to send out your syllabus to your students before the class starts. In your D2L course, click on Classlist. Click on Email everyone on this tab. In the floating window, compose your message, and then click on Send. I have updated the handout for “Desire2Learn for Busy Faculty” - This document is intended to provide advice and suggestions to College of Commerce faculty creating web enhanced, online and hybrid courses using the university’s Desire2Learn Learning Management System. The document is not intended to replace the extremely helpful videos and handouts that FITS and Teaching Commons have provided here. Instead, this is a simple guide for assembling a D2L course in less than fifteen minutes. I hope this is use to you. Three dedicated D2L training sessions are offered for Commerce faculty this month, as an extension of the regular Technology Tuesdays. The three sessions are designed to help Commerce faculty quickly create a Desire2Learn course from scratch in less than 15 minutes, and to highlight how DePaul supports faculty using technology. You will also have an opportunity to add the Commerce template to any of your courses during the session. The Commerce D2L template provides dedicated technology resources for your students. Wednesday, February 15th. 10:30 a.m. – 11:30 a.m.
You can RSP for the sessions here. This will be a guest presentation by Josh Lund of FITS. Josh is the dedicated FITS Consultant to the College of Commerce. You may have met him already, or listened to his voice on the Desire2Learn video tutorials on the Teaching Commons website. To RSVP, please visit the Technology Tuesdays webpage. When registering, please use the “Notes” field to pose specific questions or user scenarios that you would like answered during the session. On the 29th October, 2011, I gave a one-hour session on “Essential Technology Tools for Teaching” as part of the monthly Technology Tuesdays. Above is an abbreviated video (about 19 minutes in duration) that shares some of the essentials of what was covered. Move information (and a PDF handout) can be found on the Technology Tools page. The upcoming Technology Tuesdays session will be on iClickers. Please be aware that systems (like D2L and Wimba) are not always able to keep up with the most recent version (many of them Beta) of popular browsers. 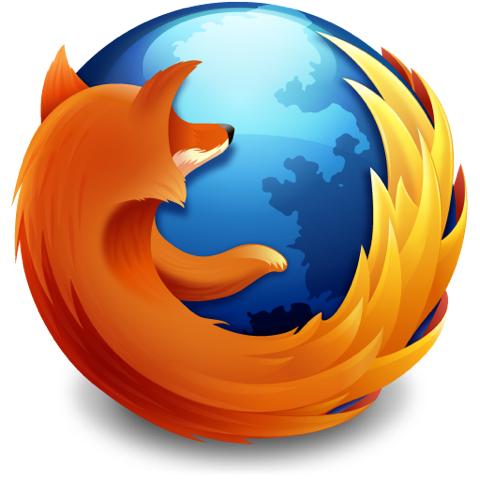 For those of you using Wimba be aware that the most recent version of Firefox is not supported by Wimba. To enable, simply click Subscribe to Topic after clicking on a topic heading. As an added convenience you get to decide how often you receive notification – e.g. once a day, upon posting, etc. The Role Switch Widget has been moved so it appears above the News Widget. This will allow faculty to more easily utilize the feature and, as this widget only appears to instructors, the change will not affect the student display. A new feature for Fall is the ability to easily leave audio feedback for your students, and for your students to provide you with audio feedback/assignments. Anyplace in D2L that you can attach a file you will be able to record audio feedback (see http://teachingcommons.depaul.edu/ContributionFolder/Technology/D2L/PDF/dropbox.pdf for directions). There is a 1 minute time limit for each recording. For instructors wishing to add functionality to course homepages through custom widgets, a number of new widgets have been added to the system. These widgets, developed by the University Library, link students to key resources in a variety of subject areas, connect students to a librarian via AskALibrarian, and allow users to directly search certain library resources like JStore and Academic Search Complete. To learn how to add a widget to your course, see http://teachingcommons.depaul.edu/ContributionFolder/Technology/D2L/PDF/add_widget.html for more information. For faculty wishing to use the D2L Survey tool it is now possible to create branching surveys. For more information, please see http://teachingcommons.depaul.edu/ContributionFolder/Technology/D2L/PDF/surveys.pdf. As the Summer 2011 edition of DOTS is fully underway, DePaul is already planning for the next session. The first DOTS offering in 2011-12 will be in December 2011, offered in the compact 3-week format. The schedule of the December session, and an application form can be found here. We are always open to customizing the curriculum to the needs of a particular department/college/program whenever there is substantial interest. Please feel free to contact me or Sharon Guan if you would like to discuss the possibility of having a dedicated DOTS session for your unit. Students receive full points for the question only if they select all of the correct answers and none of the incorrect answers. They receive zero points if they miss any correct answers or select any incorrect answers. Students receive points equal to the number of right answers they choose minus the number of incorrect answers they choose. For example, if each answer is worth one point and a student selects 3 correct answers and 1 incorrect answer, they will receive 2 points for the question (3 minus 1). Note: To determine how much each answer is worth, the system takes the total number of points that the question is worth and divides it by the number of correct answers. For example, if a question is worth 4 points and has two correct answers, each correct answer is worth 2 points, and each incorrect answer is worth -2 points (students receive a minimum of zero on a question: they cannot receive a negative mark). Students receive points for each correct answer they select and for incorrect answers they leave blank. Incorrect answers selected and correct answers left blank are ignored. Jan’s suggestions are particularly important if you have imported a multiple-answer quiz from Blackboard. “Several people have asked about pasting messages into Desire2Learn, when using Internet Explorer, such as for news items or other text boxes. I uncovered the issue and would like to share the fix. Go to the Start Menu > Settings/Control Panel > Internet Options. Select the button, Trusted sites, the green checkmark icon. Select the Sites button and type *.depaul.edu. Uncheck ‘Require server verification’ then click Add. Click Close and click Okay to exit. While Information Services will make an archive copy of courses currently on the system, these archives will NOT contain any student information so follow steps 2 and 3 above prior to the June 30th date if you would like to have an archive of student data available to you. Attention faculty, the Summer and Fall classes at DePaul have been loaded into Desire2Learn. You are now able to prepare these classes. Desire2Learn is demonstrating the tool via a webcast on April 27th from 1:30 p.m. (CT) to 2:00 p.m. (CT). You can register via this link. Josh Lund of FITS has been playing about with some of the new features of Desire2Learn (after the recent upgrade). The structure of QuickLinks has changed, and some older filepaths may not work. If links in a course you have copied across from a previous quarter are not working, it may be worth re-linking. First, export your grades to a CSV. When you are about to export, select the key field Username and uncheck everything else. When you open the CSV it creates, you’ll have one column with all the usernames in your course and the End-of-line indicator column. Hold on to that for a minute. Josh downloads the sample import file to get the formatting right, but if you’ve already got a spreadsheet you can use that. Copy and paste the Username column from the export file into the leftmost column of the spreadsheet, and copy the end-of-line indicator into the rightmost column. Previously it had sometimes accepted columns for OrgDefinedID or First Name and Last Name, but Username works reliably. Each column after the first one has to have only numbers or text in the cells. (You can use Copy/Paste Special if you need to remove formulas from cells but keep the values.) You can call the columns anything you like, but they have to end with the word Grade (capitalized too) if it’s Numeric, Symbol if it’s a Text item, or for Adjusted final grade and calculated grade, have two columns, one for (Adjusted, Calculated) Final Grade Numerator and one for (Adjusted, Calculated) Final Grade Denominator. That last word is what tells the system it’s a grade item and what kind. You don’t need the stuff anymore; in fact, if you have that code in there it will tell you the file can’t be imported. Also, delete any extraneous columns. This includes empty columns. Paste in the necessary data. Be sure when you import that you check the ‘Create new grade item when an unrecognized item is referenced.’ Also, if you have any grade items in your spreadsheet with scores that are already in the D2L gradebook, you can import those too; it’ll ask you which data you want to keep, but I haven’t found the results to be reliable. Probably best to just remove those too, and only import new stuff to the gradebook. Simply click on the “Add DePaul User” link found on the LMS Request Forms page. More information (and handouts) can be found here. For those of you who missed this feature from Blackboard you will be excited to know that you can now subscribe to discussions in D2L and get new notifications sent directly to your email. DePaul heard from many faculty that course numbers were confusing and hard to navigate so a change was made to show the PeopleSoft Course name on the My Homepage. For example, an accounting professor will now see Financial Accounting as their course offering name instead of Accounting 500. Course numbers and course names will now appear inside the course as part of the Default Navigation (see below for an example). Need a convenient way to keep attendance for your class? The Attendance tool is now easily accessible in D2L. Use of this tool allows you to keep track of students who are present, absent, excused or late. Teaching Commons has more information on how to use the tool. DePaul has listened to feedback and have heard from faculty and staff that the default course navigation includes more links than they really need or not the ones that they want. 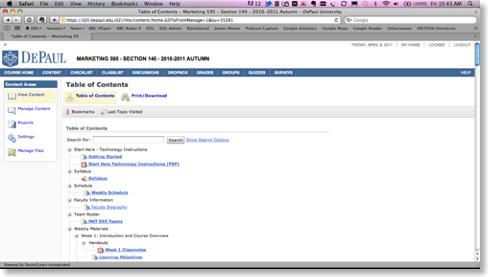 To make things easier faculty can now pick from 2 additional navigation bars shared from the University. To use either of these navigation bars (in place of the Course Default), click on Edit Course and then Navigation and then Change. For more information about Navigation bars, including how to make your own, can be found here. When you are ready for your students to view your course content, please remember to make your course active so your students have access to it. Here is a link to the documentation on making your course active. For those of you working on building your course, there are a number of open labs scheduled on both the Loop and Lincoln Park campuses. These labs are a fantastic way to build your course with support. Simply reserve your spot and bring your course materials (and questions) and get help from one of the FITS trainers. Additional training sessions on Collaboration, Quizzes, Assessments and Personalization have also been scheduled. For dates and times as well as registration information please go here. And don’t forget that print documentation and video tutorials can be found here. In particular you may find the Desire2Learn: Short, Short Version a good starting place. SNL (School for New Learning) has added to the excellent documentation found at the Teaching Commons website. SNL’s documentation and videos can be found here. Well worth perusing. I updated the Desire2Learn Tips and Tricks PDF that I shared at last year’s Technology Tuesday session. I will continue to update this document periodically. 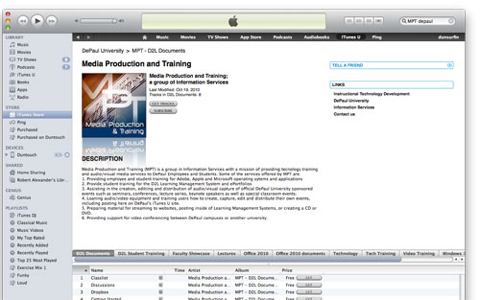 MPT (Media Production and Training) has posted a series of training videos for DePaul students on iTunes U. These videos introduce Desire2Learn, and the go into more detail on how to use the various functions within D2L. I highly suggest that you subscribe and download. This blog post goes out to all part-time and adjunct faculty in Commerce. To successfully use the new D2L system, a basic 2-hour training is strongly advised. The College of Commerce has set up three training sessions in November especially for our part-time faculty. Just click on the link below for the date/time you wish to attend. You are also welcome to sign up for day-time training sessions at the Faculty Instructional Technology Services (FITS) webpage: http://fits.depaul.edu To learn more about our transition to Desire2Learn and for information regarding other teaching support resources please visit http://teachingcommons.depaul.edu. Remember, ALL Winter Quarter courses will be taught in Desire2Learn (D2L). Blackboard will NOT be available for any courses – online or face-to-face. So, sign-up for training today! This year we are very excited to introduce you to Desire2Learn - a new online learning management system that will enrich student learning and enhance your teaching efficiency. This fall more than 100 faculty members from all of DePaul's colleges and schools are piloting Desire2Learn. This pilot program will help ensure that training classes and materials are well developed, support services are working well, and integration of the new system with PeopleSoft is running smoothly. 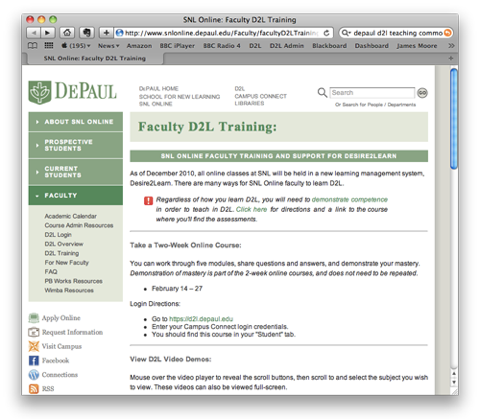 Desire2Learn can be found at https://D2L.depaul.edu and will replace Blackboard at DePaul beginning in December 2010. Faculty and staff who are currently using COL Web will not be required to change for winter quarter, but will have the option to use Desire2Learn if they prefer. Desire2Learn was selected via a thorough review process, led by faculty and staff at DePaul. You can read more on the selection process at http://teachingcommons.depaul.edu/P_S_C/LMS/review.html. In order to better assist you during the transition, the Instructional Design and Development (IDD) unit has been reorganized into the new Faculty Instructional Technology Services (FITS). Training and assistance for Desire2Learn will be provided by FITS. We invite you to visit the FITS webpage at http://fits.depaul.edu to enroll in training. Documents and course files from the 2009-2010 academic year have been copied to Desire2Learn from Blackboard, in order to assist you in building your courses. Desire2Learn training classes demonstrate how to re-structure your documents and course files in preparation for teaching your class. Migration of any course content from academic years prior to 2009-10 can be requested at https://www.itd.depaul.edu/website/forms/bb_desiretolearnbetaImprt.asp. To learn more about our transition to Desire2Learn and for information regarding other teaching support resources please visit http://teachingcommons.depaul.edu. Your students will receive a separate communication regarding this transition. Information on student training can be found at https://www.itd.depaul.edu/website/students/training.asp. I have been messing about with CSS (Cascading Style Sheets) in D2L (Desire2Learn). My preference would be to identify a common shared folder on the D2L server, but until then the process of embedding a stylesheet with a Desire2Learn course works. 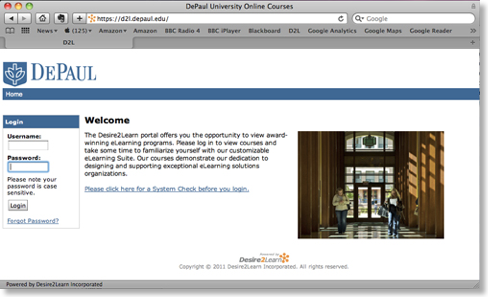 Desire2Learn (D2L) is DePaul’s new Learning Management System (LMS). DePaul’s Teaching Commons has published a series of guides as PDFs. These can be viewed and downloaded from the Teaching Commons website. There is a change to the previously published description for the July 20th Technology Tuesdays session - the updated session will be a repeat of the July 6th session. No new material will be covered. You are free to attend on the 20th again if you attended on the 6th July (which may work as a useful review). Melissa Koenig of FITS has very kindly agreed to provide this specialized D2L (Desire2Learn) training. Please RSVP as soon as possible to save your spot. •	Time: 9 – 11 a.m.
•	Description: Desire2Learn (D2L) is the new Learning Management System (LMS) that DePaul will be adopting. This session will provide you will a thorough understanding of how the various elements in D2L operate. 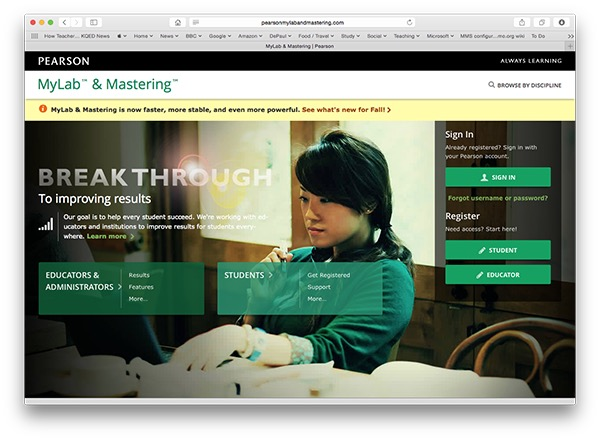 You will see how existing courses have been successfully copied from Blackboard to D2L. This session will take place in CNA 405. CNA 405 is a computer lab – you will have the opportunity to test out the new system. Refreshments will be served. D2L is the new learning management system that is scheduled to replace Blackboard at DePaul in January of 2011. D2L has been rigorously tested, and provides a better system to support Commerce’s mission and strategy. However, it is a new system and some training is required to capitalize on the improved functionality and features. Or you can register for one of the many “fundamentals” sessions offered through FITS at http://fits.depaul.edu Click on the “see other events/dates” to get the full list of training sessions. You are welcome to join any. (FITS is the new IDD. The acronym stands for Faculty Instructional Technology Support). One of my colleagues (Beth Rubin) will be leading a presentation (Effect of Using D2L on Student and Faculty Outcomes) at the Fusion 2010 Architects of Education Desire2Learn Users Conference in Chicago on Tuesday 13th June from 2:15 p.m. - 3:15 p.m. I will be sitting this one out, but I will be at the poster sessions taking place from 10:40 a.m. – 11:40 a.m. that day. You can view/download a PDF copy of the presentation on the Effect of Using D2L on Student and Faculty Outcomes page. Come along on the day and say hello! In this short session, you will learn the basics of D2L. Links to documentation, videos and hands-on training will be provided. Both events will be taking place in the CNA 405 computer labs (no food or drinks please). The events will start at 9 a.m. and run a little longer than the regular Technology Tuesdays. For more information, and to RSVP please visit the Technology Tuesdays page. IDD is running a specialized staff training for D2L (D2L Fundamentals for Staff Training) on July 9th. If you are a Commerce member of staff and world like to attend please get in touch.